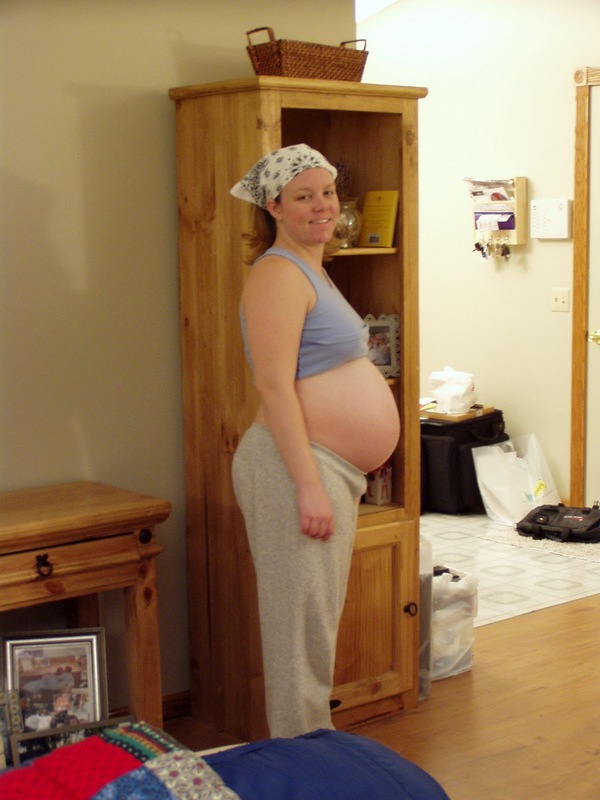 Tandem Twinning: Middle Pregnancy: Oh My Aching Back! For me, this was quite possibly the most miserable aspect of my first pregnancy. It began already when I was only 12 weeks along. I could feel a little ‘twinge’ right on my tailbone. That soon spread to my hips. I was gaining weight and just the weight of my growing pregnant body on my hips at night was enough to roll the muscles into painful knots as they tried to hold my hips together! I prayed to never have to go on bedrest, because the pain of laying in bed for me was sheer torture! And if peeing every 3 hours in the night wasn’t enough, I couldn’t sleep for more than 2 consecutive hours waking in pain in the hip I was sleeping on! It was like sleep training preparing me for life with two newborn babies! I would wake up with the hip of whichever side I was laying on just throbbing with tension. I would get up, stretch it, and roll over and try to sleep again. Finally after tossing and turning for a few hours, I’d head for the couch, hoping it would help. On the couch I usually used pillows to make a reclining lounger for myself since we didn’t have a lazy boy chair! This way, at least there was no weight on my hips so they got a break for a bit. Somehow there is still only so long it is comfy to sleep reclining on pillows and I was up, again, looking for a new way to sleep. So what helped? Different things at different times I guess. But here’s a complete list to give you some ideas of what might help you! Most often what I wanted was a massage. While I could have spent my future kids’ college tuition on massages during my pregnancy, instead I found it worked great for my dear husband (bless his heart for all the massages!) to actually sit in front/behind me while I layed on my side and he would use his elbow to knead the muscles in my hips and buttocks. This way his hands didn’t get so tired, and the bluntness of his elbow was just about perfect. When he wasn't available (ie – I was awake in the middle of the night!) I would use a rubber 'bouncy' ball between me and the wall to knead the muscles. I would just lean and roll against it. Of course, nothing beats a professional massage from someone with strong hands. I got to know the massage therapist really well at a massage center down the street! I think I went in about monthly until the last month (which for me went to 39 weeks!) I rewarded (or is 'consoled' a better word?) myself for staying pregnant so long by getting a massage just about every week! Erika soon knew EXACTLY where my rough spots were and exactly how to make them better! Also, if you can get your physician to ‘write a prescription’ for massage, you can pay for it with Flexible spending account or Health Savings account funds. Of course heat and massage often go together. I really liked my 'bean bag' heat pack to help loosen the tension in my muscles. I don't remember where I got it though. My chiropractor has some that are filled with some sort of bean and my massage studio had ones that were filled with corn. Either is great! It is basically a heating pad but you just put it in the microwave. It is also GREAT for postpartum cramping and keeps you from having to take so much meds. Here is one on Amazon that appears to fit the bill - complete with aromatherapy built-in! If you are more practical and not into fragrance, this heat wrap fastens around your waist . I highly recommend bringing one with you to the hospital! Another date I could hardly wait for – the chiropractor. I can't say enough good things about my chiropractor. I didn’t go to the chiropractor in my first pregnancy until I was past my first trimester and my back was already my worst pregnancy ailment. I had been to him before for a back problem right out of college and he fixed it in just a few visits, whereas another chiropractor at that time had told me I was in for almost a few years of treatments. The point is I knew I could trust him. Find a chiropractor you can trust. Either with a referral from a trusted friend, or an online search that gives good feedback. When I found out early on that I was having my second set of twins, I started going to him right away and my back worked 100% better for my second pregnancy compared to my first. There were times I would walk into his office, not even being able to stand up straight, and when I walked out and hour later, I was completely normal. Beyond back care, he gave me tips on vitamins that helped my energy level (B vitamins and vit D3) – something I would expect to hear from my doctor, but never did (outside of making sure I was taking a prenatal vitamin). Also, my doctor diagnosed me with Carpal Tunnel late in my first pregnancy – which is actually listed as a pregnancy ailment because of the extra fluid in your body that can temporarily create this complication. So when I showed up at the chiropractor to have my back adjusted and he saw the braces on my wrists, he asked about it and examined them. He told me I did NOT have carpal tunnel, and in fact I had tendonitis. He taped my arms to take the pressure off the tendons that were bothering me and it worked wonders! I was symptom free in a few days and ditched the braces! He even fixed my jaw once when the dentist leaned on it too much during a long visit. My adventures in pregnancy have really led me into a relationship of trust and gratitude for my chiropractor! I now run to him for many ailments of my own and my kids’ because where a doctor has a treatment, a chiropractor has a solution. And it happens to be faster and easier and cheaper that a doctor visit every time. I guess there are some things a chiropractor can’t fix though! Swimming was a great relief for my hips and back. Taking a bath in a nice deep tub helps too. Anything that takes the weight off for even a short time is such ecstasy! I added 40% to my bodyweight by the end of my pregnancy! IKES! So I really needed that kind of relief to make it through with some cognitive ability left! Now in the Midwest in February, you can’t exactly just go jump in a lake. But I bought a YMCA punch card, which was relatively inexpensive compared to a monthly membership, so I could still go swim in the pool there once or twice a week. In those final days of my pregnancy, rotating days where I got a massage, visited the chiropractor and went swimming was the only way I made it day to day! As for sleep, I found that the couch was a comfy alternative in the middle of the night. - I think it distributed the weight better and kept it off my hips. Plus I would stack up pillows so I could sleep on my back in a reclining position, which kept the weight off either side of my hips. What I really wish I would have done in my first pregnancy is to buy a recliner so I could actually get some sleep at night. Back sleeping isn't 'allowed' but in a recliner should fine because you can control how far back you lay (check with your doctor to find out how far is ok for sleeping at night). A mess of pillows on your bed including some body pillows is also helpful to try and distribute all of your weight evenly. I found a nice squishy one to always put under my belly to help distribute that helped too! Being very active in dance growing up, I am addicted to stretching. It really helps flexibility and that comes in very handy when trying to find comfy positions to sleep in. Not to mention for labor and juggling two babies while trying to breastfeed and feed yourself simultaneously! Here are two of my favorites! -Stand next to the wall with your right side near the wall and right hand on it for support. Bend your right knee and stick out your left hip (you will feel it in the left hip). -lay on your back (just for a minute – it’s ok!) and cross your right ankle onto your left knee. Use your left knee to push your right leg close to your belly while using your hands to push your right knee away from your belly. You will feel it in your right buttock/hip. One other thing you should know is that you can request your doctor refer you for physical therapy treatment and it may be covered by your insurance. If you are on bedrest – the therapists might even come to you! It’s definitely worth a try if you are in pain and miserable. Of course I don’t have all the answers, so please share what worked for you in the comments!!! I too had hip problems for the majority of my twin pregnancy and like you, I was seeing a massage therapist on a weekly basis. She was just a god-send!! !